The SEO Framework review: An outstanding plugin for WordPress that helps reach top positions in SERPs. Customizable with Free, Essential and Premium plans. Some of the reasons why you might want to look for an alternative SEO plugin. The SEO Framework as a viable Yoast SEO alternative. aThemes shares what they considered the best WordPress plugins of 2019, divided into 12 categories. 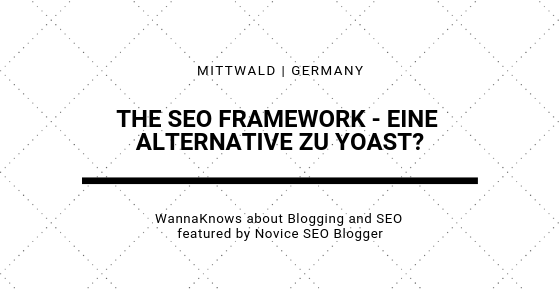 A very interesting insight and comparison of Yoast SEO and The SEO Framework, especially for the German-speaking population. 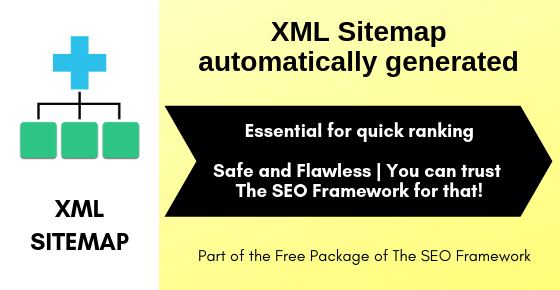 An XML sitemap | Essential for quick ranking | Automatically generated | Safe and Flawless | You can trust The SEO Framework for that! 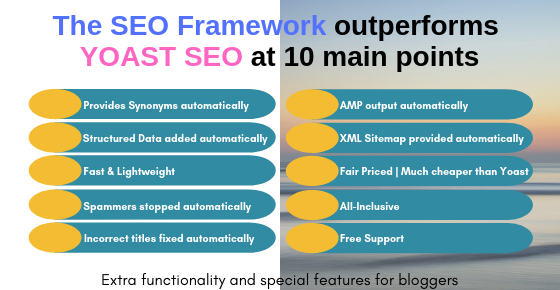 The SEO Framework outperforms YOAST SEO at 10 main points. 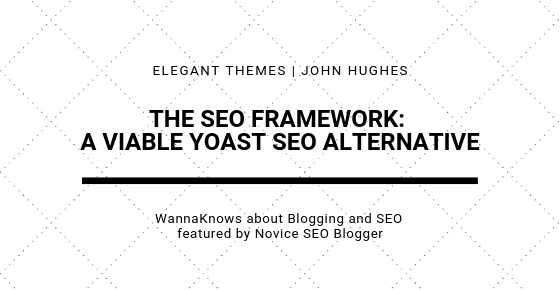 The SEO Framework is (one of) the BEST WordPress SEO plugins for bloggers, has everything you need for SEO and is often mentioned as a viable alternative for Yoast. Speed is what you Need. 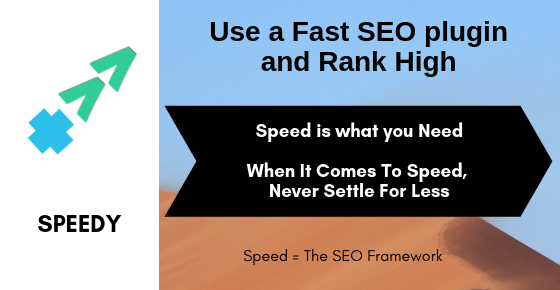 Page speed is one of the most important ranking factors. When It Comes To Speed, Never Settle For Less. 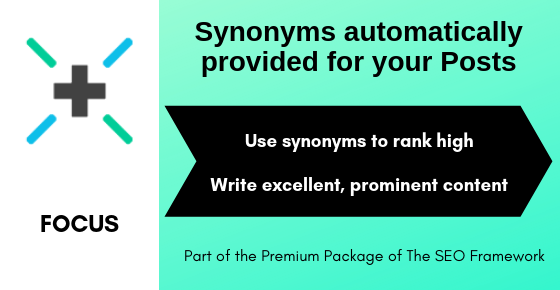 Synonyms automatically provided for your Posts helps copywriters and bloggers in writing excellent, prominent content AND rank high. 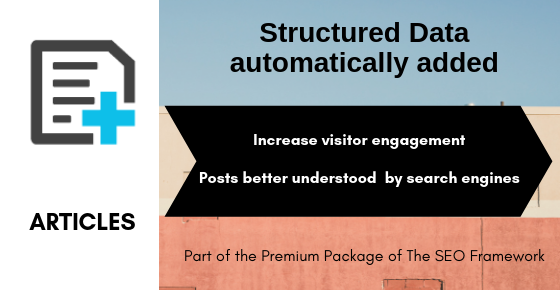 Structured Data automatically added to your Posts ensures that your Posts are understood better by search engines. 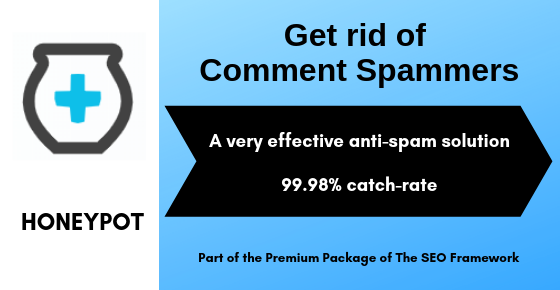 Get rid of comment spammers. A very effective anti-spam solution. 99.98% catch-rate.